PHOTO PROVIDED Karin Sutherland, left, reads to kids at Make It Monday. 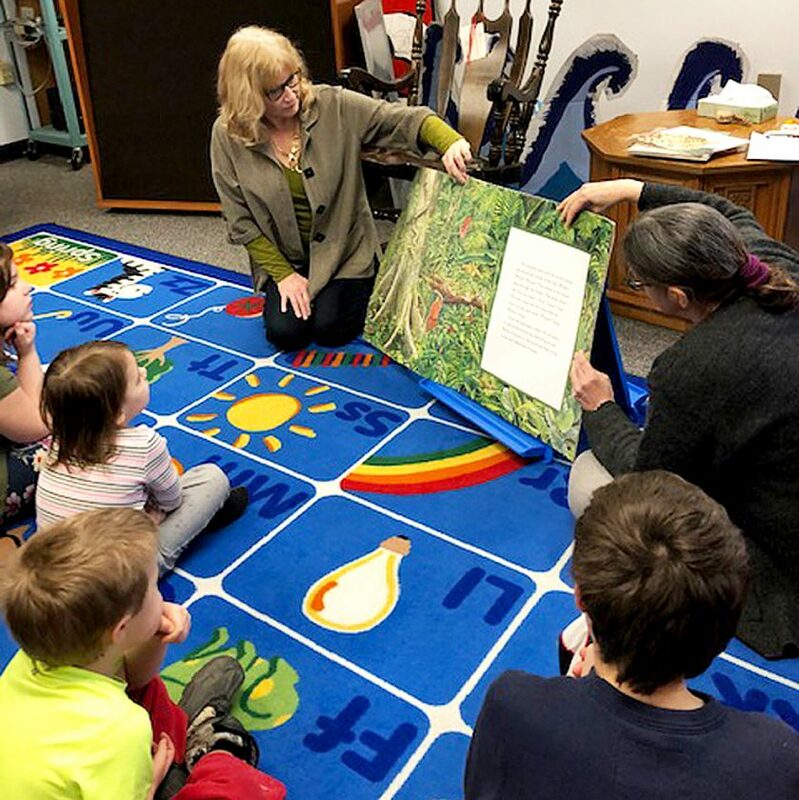 LOCK HAVEN –Ross Youth Library and a local advocacy group called SPARK (Supporting Public Action and Reliable Knowledge) combined efforts to teach children and parents more about endangered species and their shrinking habitats. There will be two more programs on Monday evenings at 6:30 p.m. in March. All ages are welcome. Karin Sutherland, a member of SPARK, served as guest reader, reading a beautifully illustrated big book called “The Great Kapok Tree” by Lynne Cherry to her audience and introducing the need for preservation and the impact of destruction to animals in the Rainforest. Inspired by the reading, the participants then produced collages, using colorful paper provided by the library to make their own amazing versions of endangered animals. At the end of the evening Sutherland presented a toy snow leopard to the Children’s Library. 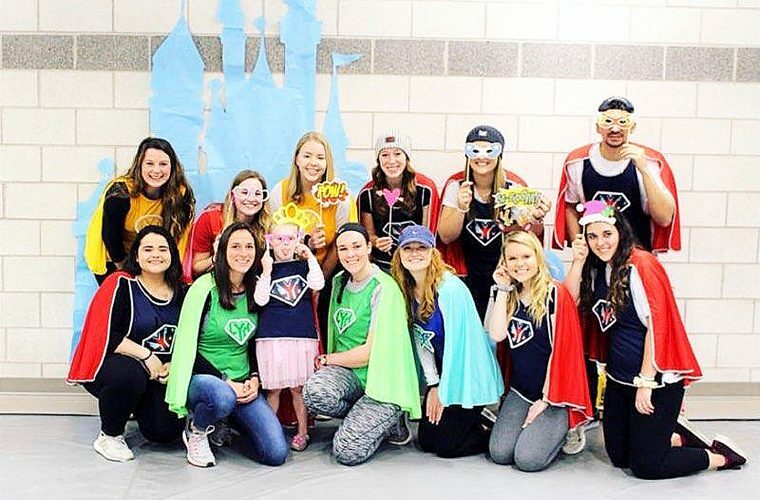 Last April, as part of their effort to raise awareness about the environment, SPARK hosted Lock Haven’s first annual Earth Day celebration, a family-friendly event with food, music, speakers, interactive activities, informational materials, and a variety of environmental representatives. One of the activities encouraged participants to vote for their favorite endangered animal. The snow leopard won, earning the city of Lock Haven an official ‘adoption certificate’ and a little replica of the animal, which is now on display in the Youth Library. SPARK is now planning a second annual Earth Day event, to be held on Saturday, April 27, from 11 to 3, providing another opportunity for participants to vote for their favorite endangered animal.